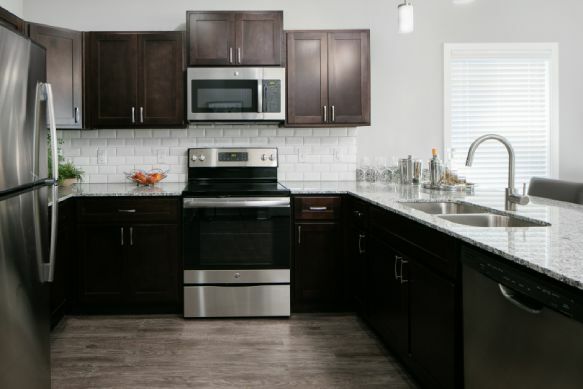 Located in Kansas City's Northland and in the heart of the Shoal Creek Valley master-planned community, Liberty at Shoal Creek offers you a 55 and Better Luxury Living experience. 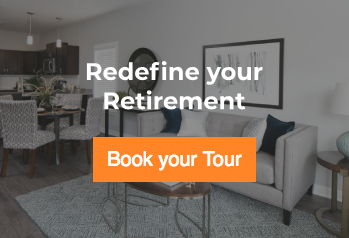 Thoughtfully designed for active adults who want to free themselves from the responsibilities of home ownership but aren’t ready for the slower pace of a retirement community, Liberty at Shoal Creek takes luxury apartment living to a whole new level. Our property surrounds an inviting courtyard for entertaining and relaxation. Bocce Ball, putting green and gas grills for all to enjoy. Who can resist happy hour under the lighted pergola or a walk around the beautiful landscaped grounds. Daily events on our social calendar will keep your schedule full. Yoga, indoor pool, and the fitness room all offer classes to keep everyone active and fit. Plan a date night. 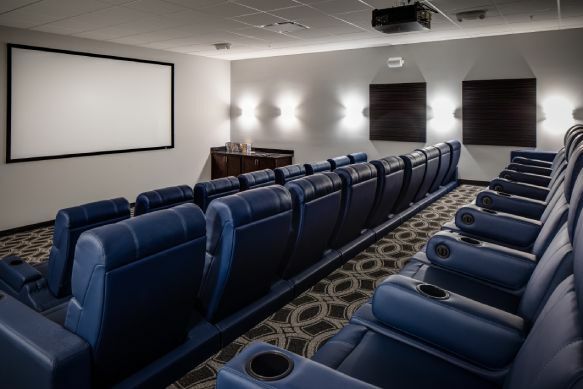 For a lower key evening catch a movie in our spacious theater room. For something a little bit more upbeat visit the Tavern Room. There you will find endless entertainment to make friends and bond with your neighbors. 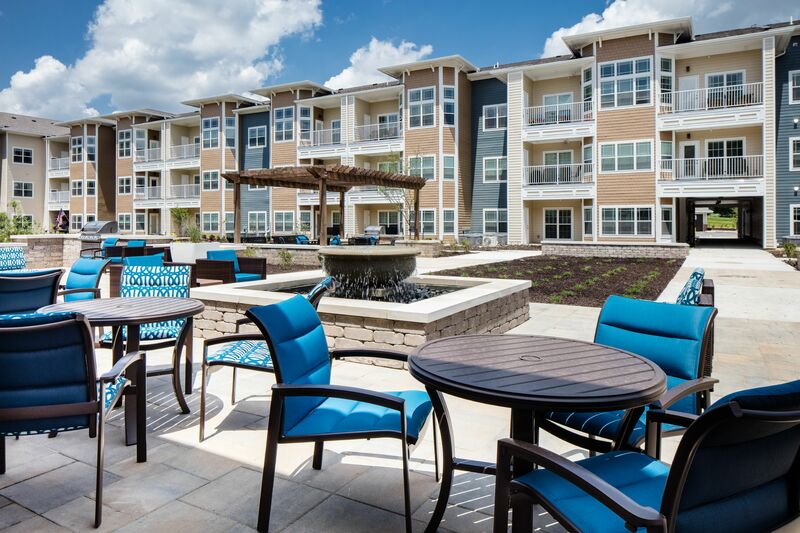 We use all the buildings amenities to create activities and space to expand your living. Furry friends are also considered family at Liberty at Shoal Creek. Pamper your pet in our self service pet spa or gather for "yappy hour". While we call our residents our immediate family, we also love our extended family. Liberty at Shoal Creek often holds events inviting outside community as well as family and friends. 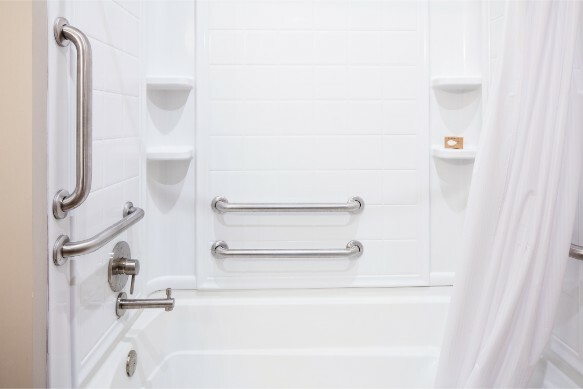 We want to include everyone in the remarkable way of life at Liberty at Shoal Creek. Liberty at Shoal Creek offers an array of floor plans offering spacious 1 and 2 bedroom + den options. 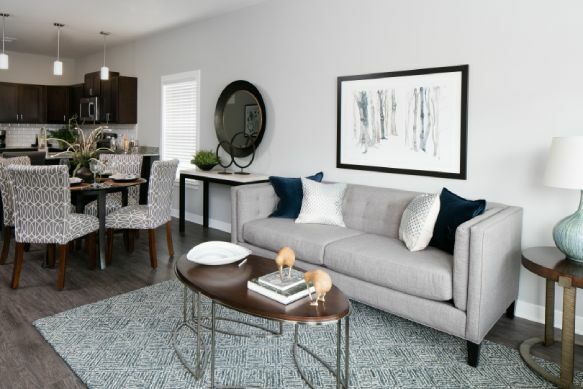 With 2 color schemes and designer finishes there is sure to be a home for everyone's tastes and needs. 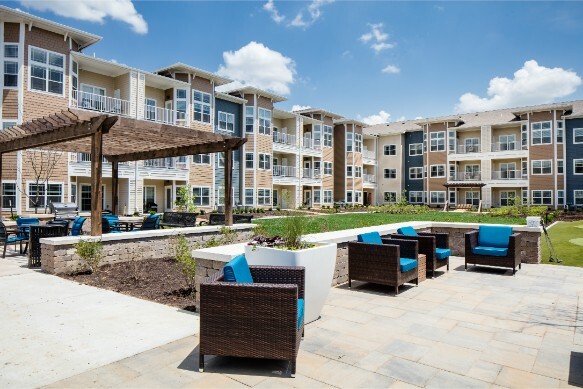 Your apartment doesn't end at the floorplan of your choice, the entire complex is open to the full community, with much space to share. 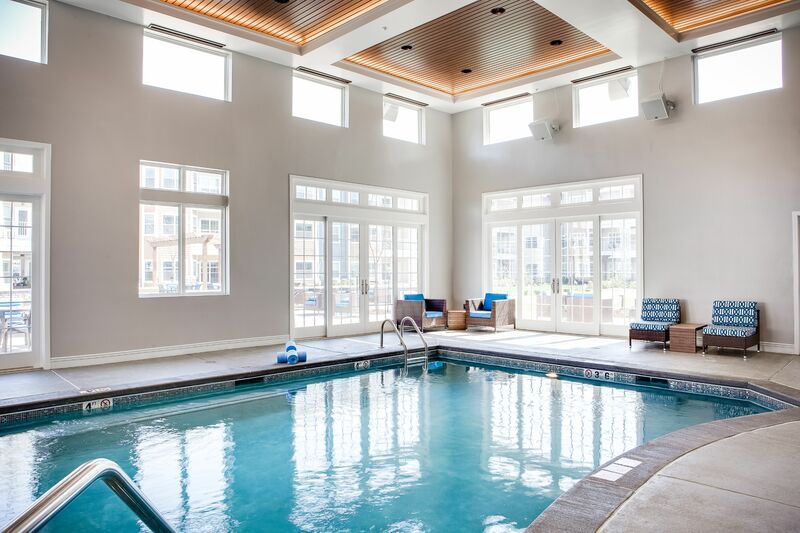 Along with a beautiful apartment at Liberty at Shoal Creek, you gain full access to all the multitude of amenities amongst the complex. 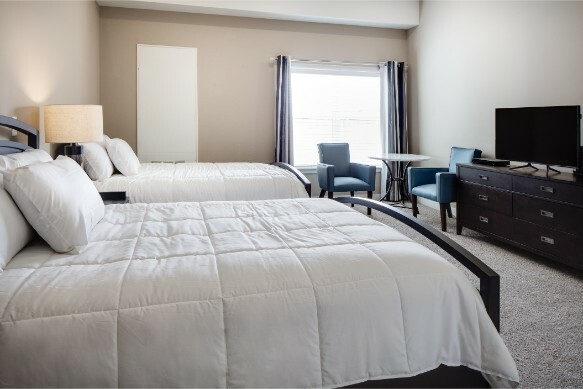 There is an array of spaces including pool/spa; a tavern room with wine bar, games, and golf simulator; A courtyard with putting green, bocce ball court, grills, and beautiful spaces; a yoga/pilates studio; library with fireplace; a sports and tavern room; arts and crafts studio; and ore. 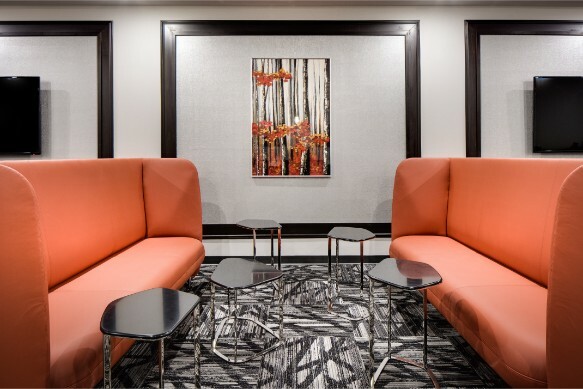 These shared spaces help create a social community. 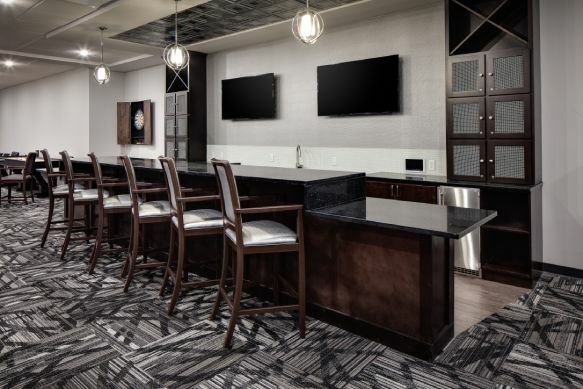 We have an activities director on the property who creates a diverse and full schedule with exercise classes, outings, game tournaments, movie showings, speakers, food get togethers, live music, poker and other card games, art classes, and so much more - something for everyone! The staff has made our move a wonderful experience! Beautiful property! Outstanding Amenities and friendly office staff members. Cool place to visit Grandma's! Yes, we Love our Furry Friends! We hold 'yappy hour's' for our pets, have dog wash station, an on-site fenced dog park, and have group pet walks and get together. Furry friends are part of our LSC family! What types of activities does the community offer? 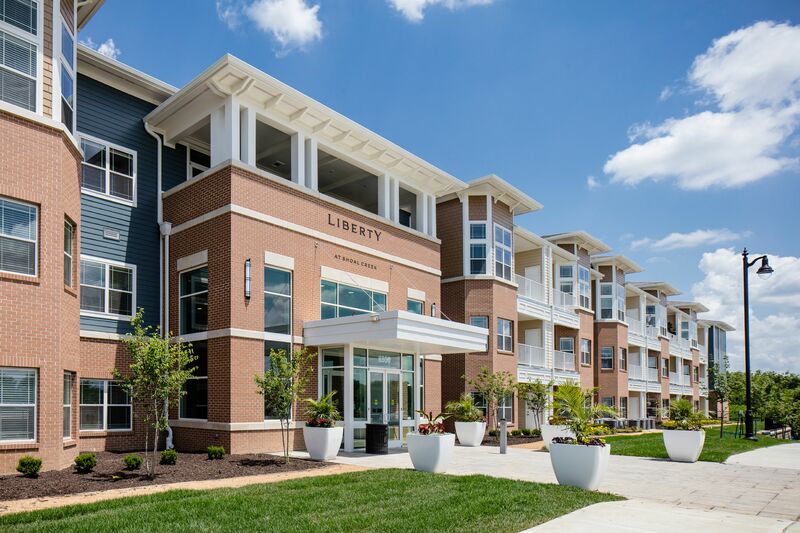 “The Liberty” has teamed up with the Liberty Missouri Community center offering a variety of classes to help enhance your luxury living experience. We are currently offering a 9 fitness classes a week. 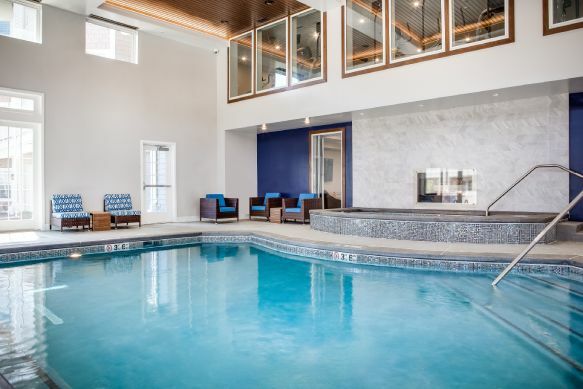 Some of our community favorites are Mat Pilates, Seated Yoga, Aqua Fit, Fit for Life Personalized Training, Zumba Gold, Balance & Stability Class and Resistance Bands & Balls Class. Our activities coordinator does a fantastic job organizing several other classes throughout the month. 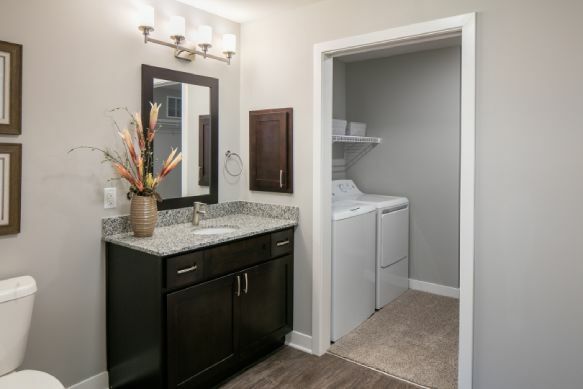 At Liberty at Shoal Creek, you can pick up that hobby you always wanted to but, never had the time to. Some of these classes include, drawing class, a painting class and a crocheting class, Sign Language 101 class, Beginner Line Dancing, Beginner Ballroom Dancing, Nutrition Courses, Cooking Courses, History classes and computer basics class. Our community also offers numerous social events ranging from live music to community outings. Liberty at Shoal Creek has several different types of parking, from free uncovered off/on -street parking to carports, attached garages and detached garages. ( Fees will apply). 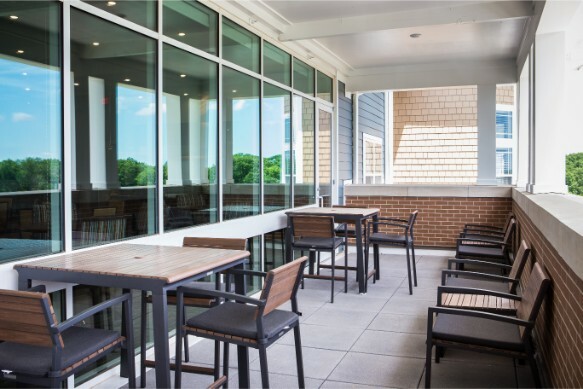 Rich with amenities, at Liberty at Shoal Creek you’ll enjoy a carefree lifestyle with endless opportunities for social and recreational fun just outside your door.